A list of the flower shops that participate in our Internship Program. Providing our students with opportunities in the floral field is an important goal for FlowerSchool NY. 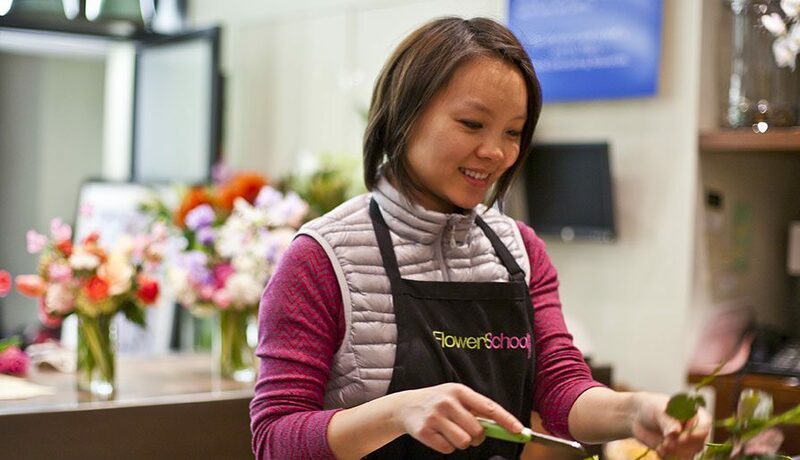 We work hard to help our students find real world experiences in order to continue their floral education in the field. Through our Floral Design Program, we work with several affiliate flower shops and studios that offer our students a 50-hour internship experience, which has the potential to grow into longer opportunities outside the school ranging from weekends, to one month and full year positions. Many of our students build upon these experiences to open their own shops or secure a full-time employment at an existing studio. Also, our online alumni group is a gathering of over 100 floral enthusiasts and freelancers where these like-minded individuals can connect with each other, ask questions and even help each other on independent events.